Italy is considering a new screening program for all newborn babies, based on the impressive initial results of a pilot study, suggesting this program could prevent the anguish of 30 sudden infant deaths (SIDS) in Italy each year. Babies in the pilot study all had newborn EKGs. This screening EKG is a simple, cheap procedure without subjecting kids to radiation or even needle pokes. Sensors on the chest collected heart rate tracings that were digitized and sent to a central lab for analysis. The aim of the pilot study is to screen 50,000 newborns. The initial results were published in the November 13, 2004 New Scientist. Based on an analysis of the 21,000 babies screened thus far, the researchers calculate that between 10 and 15 percent of SIDS cases are due to unstable heart rhythms. 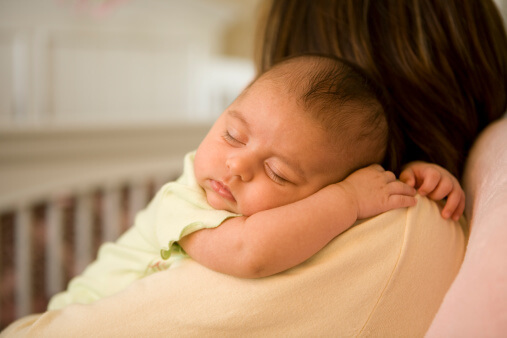 Identifying and treating these babies might prevent more than a tenth of all SIDS deaths. This could be the biggest step in SIDS prevention since putting kids on their back to sleep.